Asparagus, specifically the edible variety called “garden asparagus” or asparagus officinalis is not hard to find in grocery stores. The greens come in the form of spears, which have a crown-tipped head, according to WHFoods.com. It comes in several varieties, the most common being the green and white asparagus, with white variety being available in canned form. There is a purple variety that is also available is becoming increasingly popular commercially. The best way to consume any variety of this vegetable, however, is to buy it fresh. When it comes to choosing your asparagus, choose stalks that are rounded, with firm stems that have closed tips and a not too woody base. Asparagus can be found all over the world, as it is native to Africa, Asia, and Europe, though it is also being cultivated in North and South America, as well as Australia and New Zealand. 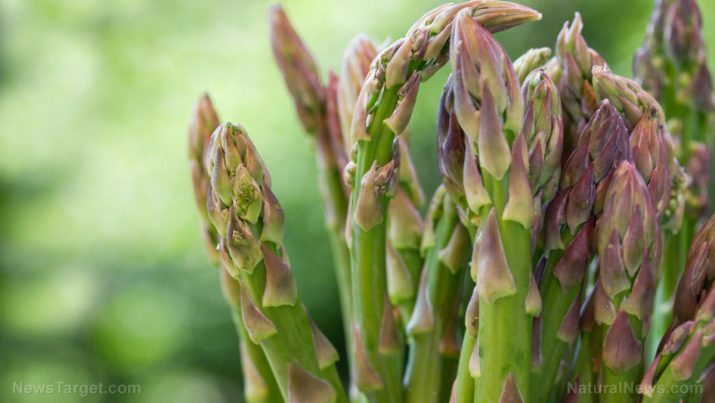 Nutrition consultant Keri Gans, RD said on Health.com that asparagus is a great remedy for urinary tract infections, as it contains high levels of asparagine, an amino acid that makes the vegetable a natural diuretic. This also helps the body fight bloat, as it promotes the flushing out of excess liquid. Data show that asparagus is an average antispasmodic as well. In addition, the vegetable is a great source of antioxidants such as vitamin E and, in the purple variety, anthocyanins. These protect the body from free radical damage, aiding in cancer prevention. According to EatingWell.com, it also high in glutathione, another compound that promotes detoxification and protects against carcinogens, making it a great vegetable for preventing bone, lung, colon, and breast cancer. According to Gans, asparagus is a rich source of folate, with just four spears accounting for 22 percent of the recommended daily allowance. This means that the vegetable, when taken by pregnant women or women who wish to conceive, can protect their babies from birth defects that affect the brain, spine, and spinal cord. Folate, along with the vitamin B found in the vegetable, can improve mood and brain function as well as alleviate depression symptoms. Asparagus is also rich in vitamin K, which promotes bone health and blood coagulation. An article on MedicalNewsToday.com has listed the body systems that would be supported by an adequate intake of asparagus. Asparagus has a great, almost nutty flavor that works well in a great variety of dishes. You can do virtually anything to asparagus, from grilling, roasting, boiling, or steaming. Thin asparagus stems can be used as is, but thicker stems need peeling to remove the tougher part on the lower portion. You get the most health benefits by cooking the asparagus whole. Among the many healthy and delicious ways to use asparagus recommended by SeriousEats.com, tossing it in a salad along with leafy greens and some form of protein may be the easiest way to eat asparagus. Asparagus is a natural diuretic that can treat urinary tract infections. As a rich and natural source of antioxidants, asparagus can also potentially prevent cancer. It also supports many different systems of the body, and most notably promotes brain health. Asparagus helps women prepare for pregnancy. Asparagus is also a great source of gluthathione.